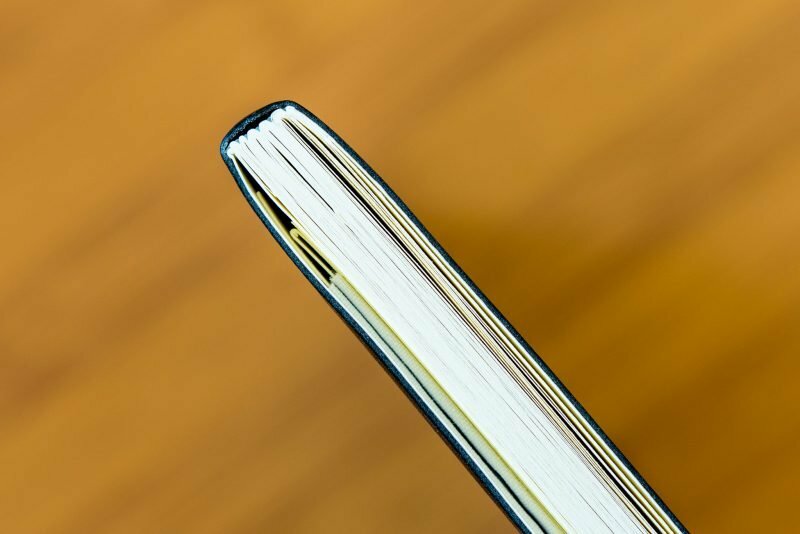 I recently posted a review of the Leuchtturm1917 Softcover notebook and gave it high marks for the paper quality. Specifically, I was impressed with the great shading and lack of feathering or bleeding that the paper showed. Shortly after posting that review, I heard from a few people who had vastly different experiences with their Leuchtturm notebooks. I also realized that I had a different Leuchtturm notebook that was purchased about a year ago and never used. Would it have the same paper as the notebook I had just reviewed or the worse paper that other people had experienced? 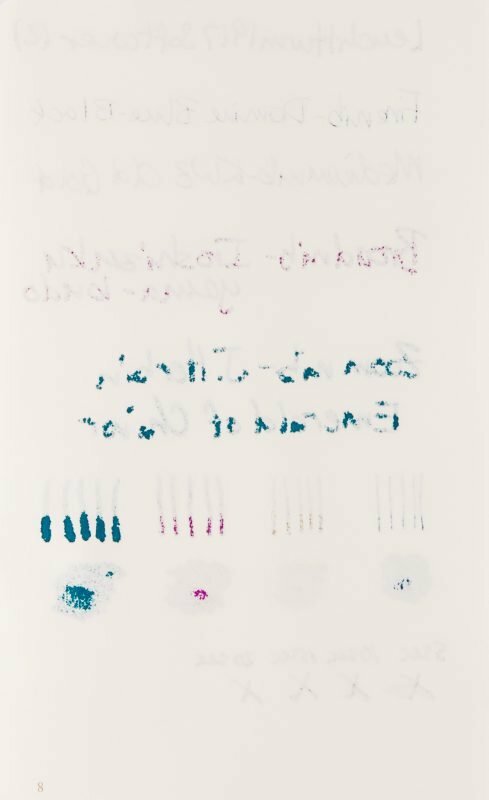 If you’re reading this and wondering what the fuss is about fountain pen friendly paper, fountain pens have particular paper requirements in order to get the most out of your pen and ink. For starters, paper that feathers and bleeds is typically considered unacceptable for use with a fountain pen. Not only can it make your writing hard to read, but it also can make the entire back side of each page unusable. 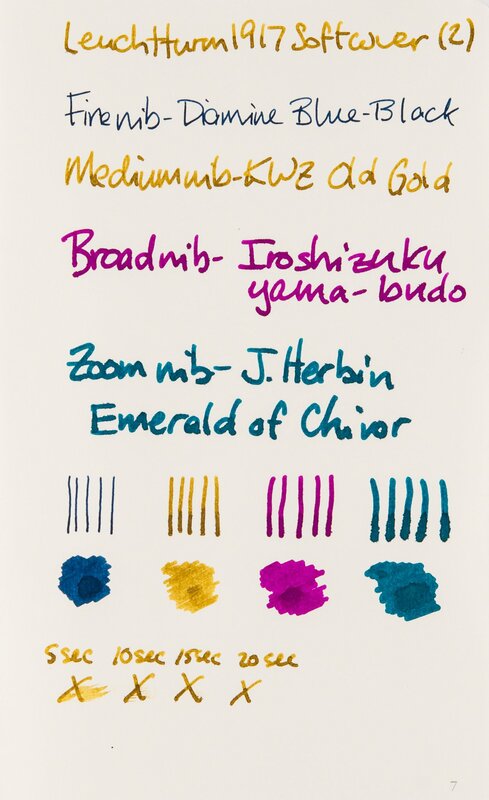 Paper will also ideally show the shading and sheening characteristics of your inks. If your paper doesn’t show much sheen or shading, you’re missing out on an entire dimension of writing with a fountain pen! You can see how much character shading can add to your handwriting. First, I think we need a way for me to talk about the notebooks so that you can tell them apart. The notebook that I initially reviewed is a larger A5 size, so I’ll call this one the “larger” notebook. In the writing samples this is notebook (1). The other one that I had never used is a smaller pocket notebook in an A6 size, so I’ll call this one the “smaller” notebook. In the writing samples this is notebook (2). Other than the size, both are the exact same Leuchtturm1917 Softcover notebook. The only difference is that they were purchased about a year apart from each other. Let me start out by saying that I really liked the larger notebook that I reviewed. I don’t usually use both sides of a page, so the ghosting didn’t bother me. I loved the texture of the paper and how much shading it showed. I wasn’t crazy about the price of the notebook, but I was willing to overlook that for the overall quality of the notebook and the number of additional features that are included. Then I tried out the smaller notebook. While it has the exact same features and cover material, and the paper looks and feels the same, the writing experience was completely different. Inks feathered and bled like crazy. Lines were not crisp, which made all of my writing look like I used a larger nib size. There was no sheen on any of the inks I used. If I didn’t know better, I would never have guessed that both notebooks were made by the same company. What the heck was going on here? Just to be sure it wasn’t a fluke and I just happened to test a bad page, I tried a page in each signature of the notebook (grouping of folded sheets of paper that you can see when you look at the top or bottom of a notebook) to see if the quality was any different. Unfortunately, there was no change in quality. Each folded grouping of papers in a notebook is called a signature. 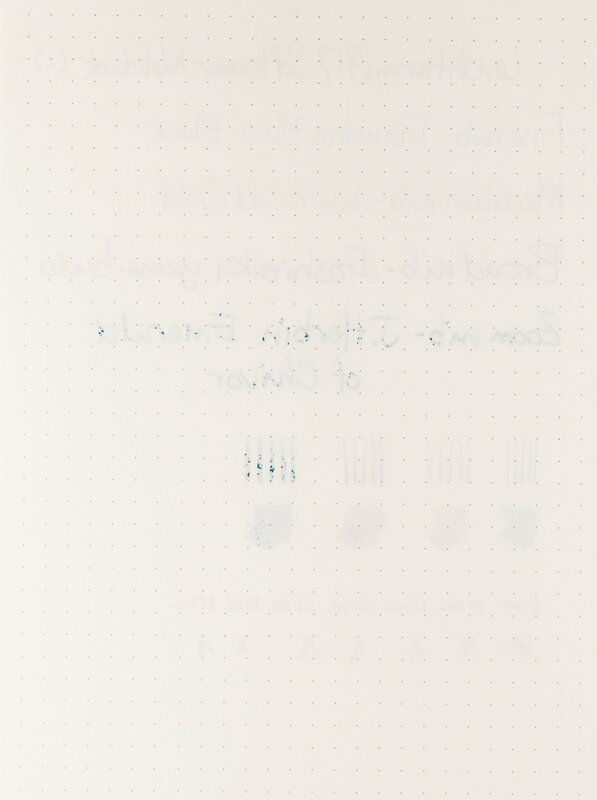 It seems that Leuchtturm has a bit of a reputation for varying paper quality in their notebooks. Look around online and you’ll find various blog posts and forum topics discussing the varying paper qualities. I think these two notebooks really illustrate just how much it can vary. Here are the writing samples that I used to test each notebook using my new paper rating system. Leuchtturm (1) – The larger Leuchtturm notebook handled ink very well. Leuchtturm (1) – It had very little bleed through, and only with my wettest nib. Leuchtturm (2) – The smaller Leuchtturm notebook handled ink horribly. Leuchtturm (2) – The back page of the smaller Leuchtturm notebook looks like my pen leaked all over it. As you can see, they are very different. The smaller notebook has extreme bleeding and feathering in amounts that are completely unacceptable for such a high-priced notebook. 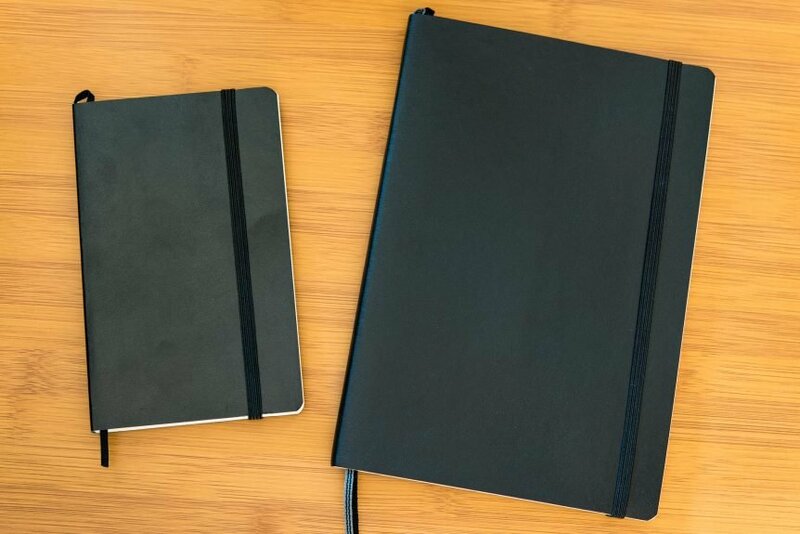 Although you might not be able to tell from the photos, the larger notebook shows some sheen, while the smaller notebook shows none. There is an enormous difference between the two notebooks. This is not something that you would expect from two notebooks of the same brand, especially when they are the exact same type of notebook. I do want to mention that I have one other Leuchtturm journal that I use, which is the Some Lines A Day 5-year journal. It was purchased around the same time as the smaller notebook. Fortunately, the paper in the journal is very well-behaved, but I’m not sure if it’s the same paper as in the larger notebook or not. Since the Some Lines A Day journal is meant to be used over the course of 5 years, writing a bit on each page once a year, I’m wondering if it has special coatings that protect the paper from repeated use. After using the 5-year journal for the past year and then trying out the larger A5 notebook, I was sold on Leuchtturm. I loved the feel of the notebook, the texture of the paper and how my writing looked on it. Then I tried the small notebook and everything changed. In my mind Leuchtturm went from a notebook company that made an amazing, high-quality product to a company that made an unreliable, overpriced product. Does this sound harsh? It should be. If a company is going to charge as much as or even more than some of the best notebooks on the market, including Life and Midori, I expect the quality of the paper, not just the notebook itself, to be consistent and fountain pen friendly. Page numbers and an index do not justify the price tag. With that being said, I’m going to go back and adjust my previous review of the Leuchtturm1917 Softcover notebook. 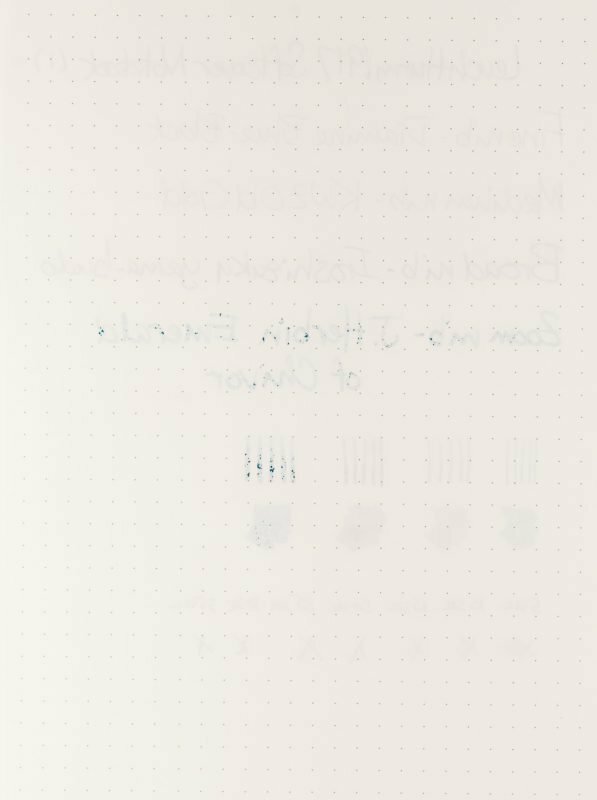 There is just no way that I can recommend a Leuchtturm notebook to anyone who uses a fountain pen. Very interesting! I’ve used a number of hard-cover Leuchtturm1917 A5 journals and several of the “Bullet Journals” which are essentially like the hard cover journals and they have all without exception had very high quality paper. 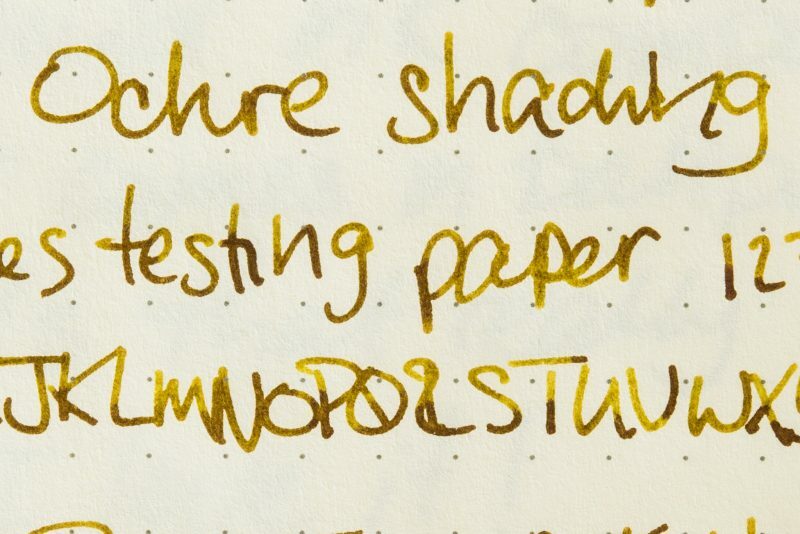 I love their paper, the texture, shading, and even sheen (my experience is that the sheen would be more like 2 or 3 stars on your system, I think), no bleed through, but yes, some show through. Still, I really enjoy their paper. The only thing that keeps me from buying more of their notebooks is that they don’t have any with lines that are 7 mm apart–only dot grid 5 mm or lines 5 mm or blank. If they had 7 mm lines, I would not need to look at any other journals. I’m currently using a Midori MD journal with 7 mm lines (yay!) and it’s a great journal. The only drawback is that this one also has significant show through. Oh well! It’s fun searching for the best notebook for your tastes! I have to say I was pretty disappointed. I really wanted to like them, but that smaller notebook really has me leery to spend money on another one. It’s good to hear you’ve had nothing but good experiences with them (other than the line spacing)! I love Midori MD journals. They do also have a lot of show through, but the paper is just so good! Hopefully one day you’ll find the perfect notebook. After being disappointed with Moleskines I wanted to try the Leuchtturms, starting with an A7 to test… Well, not better than Moleskines when it comes to fountain pens friendliness. Paper behaves differently according to size and models, it seems. For instance, in pocket formats, Moleskine notebooks are not good, agendas feels like even graphite pencils will bleed and feather, BUT pro pad in 100gsm are very good, as the faux-A5 soft cover notebook which can handle my Ahab at least as good as my Clairefontaines do. But the “Pro” hardcover in faux-A5 performs more than a basic pocket sized. 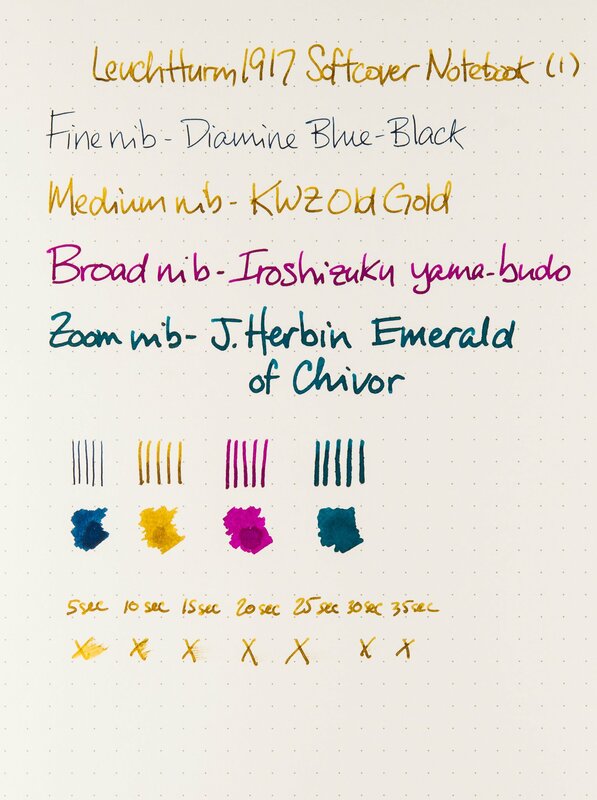 So today I use MD, Life, Apica, Tomoe, Rhodia/Clairefontaine, Fabriano for fountain pens writing, and “Molestturms” for the rest. Sounds like you’ve had some very mixed results, which is sad. There’s nothing worse than spending money on a product that has worked for you in the past and having a different experience. Sounds like sticking with other brands is a good idea. I just started googling for this topic as I thought I am crazy seeing the paper difference in same products. I had a similar experience to you. I loved the first notebook of theirs that I used, but as soon as I tried another that had such different paper I knew I wouldn’t be using any more for a while. That’s really crazy that you found four different notebooks that all had different paper! I’m new to FP and I’m taking an online classes on FP use. My instructor recommended the Leuchtturm and while new to FP, I love paper. Disappointed with this product. Very happy to find your site. Hi Pat, I’m happy to hear you’re enjoying using fountain pens! It’s too bad you got a bad notebook. Leuchtturm’s notebooks, with the good paper, are very nice to use. Happy to have you here!